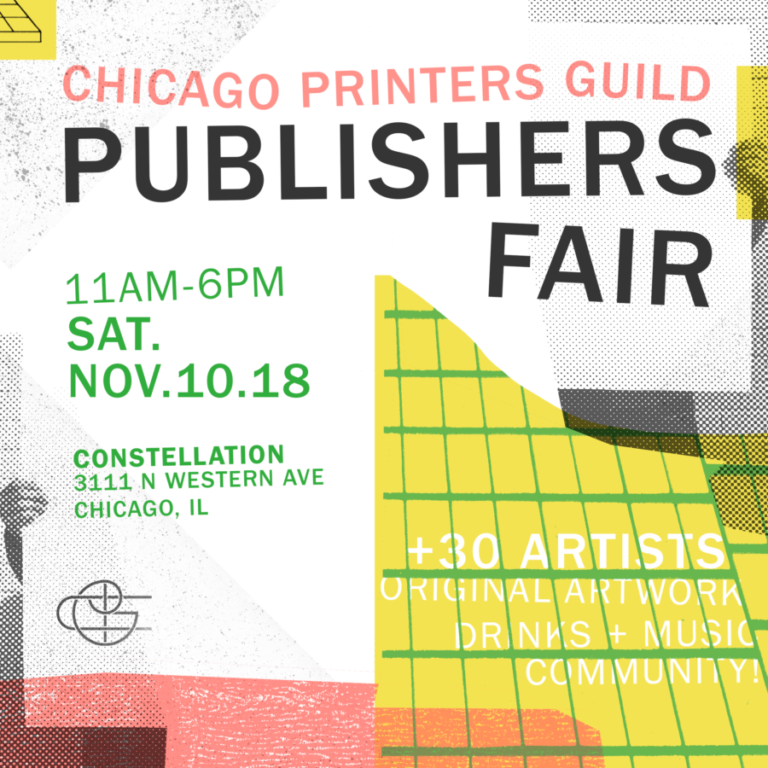 This year, the Chicago Printers Guild announces its third iteration of the Chicago Printers Guild Publishers Fair to be held at Constellation in Roscoe Village, on Saturday, November 10. Over 30 printmakers will be present to sell their self-published print work, providing a unique opportunity for Fair attendees to meet the artists and ultimately engage in the tradition-rich print landscape of our region. The majority of the work showcased is extremely limited and likely to sell out. Framing of purchased artwork will be available on site from The Frame Shop. Attendees can walk out with a framed, original piece of artwork handed to them by the same hands that created it.